I've been working on my week 2 submission for Let's Farbenmix and I've hit roadblocks or resistance at every turn. In my spiritual practice, when resistance is present, surrender and reconnect with source. Week 2 was about making a skirt, trousers or dress. 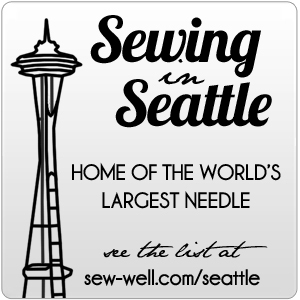 I was notified that as an adult, my submissions or link up for the sew along was invalid. Children only. Ok. Understood. Lots of emotions and competing priorities going on around week 2. Not to mention that I'm going through a huge software transition in my day job and have been forgoing sleep to meet the 1 garment per week for Let's Farbenmix. I do believe, Universe, you are trying to get my attention and remind me to take care of myself and surrender when things aren't working. As I allow myself to fully surrender and let go of the outcome or whether I will continue with Let's Farbenmix, I feel an ease in my chest and clarity that my Eva Dress (due TONIGHT!) submission and gift making is more important. Why didn't I cut and run sooner? Because I wouldn't believe that sewing the dress with embellishments would take as long as it has. Nah, it's easy. I can do it. I just kept driving to the finish line to meet my commitments. But, sometimes it is important to pull back, re-evaluate priorities and ALL commitments.